This reminds me of a clever ad I saw in an engineering magazine a few years back that depicted construction workers who were erecting a bridge from opposite sides of a canyon. Where the two halves met in the middle, they were misaligned by a few feet and the construction workers stood there scratching their heads. Each side was blaming the other for the mess-up. 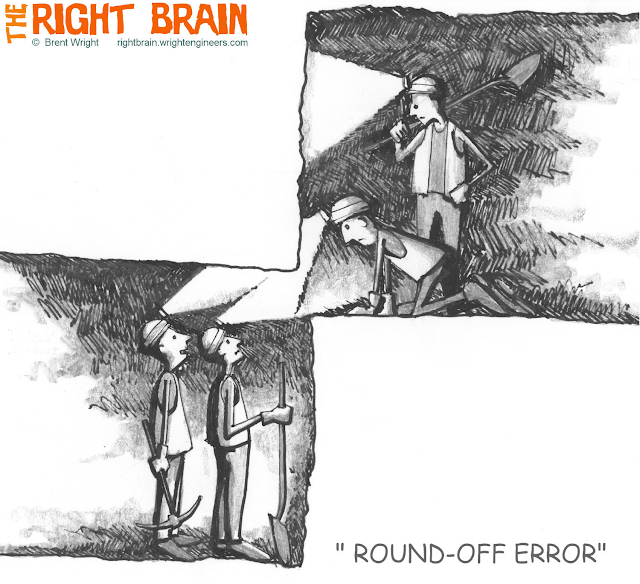 For another cartoon about "round-off error" click here.